Aug 4, 2014 - Rabbi Avraham Walles, 29, of Jerusalem was killed and five wounded when a terrorist driving a large construction excavator ran him over and overturned a bus in the Shmuel Hanavi neighborhood in Jerusalem. 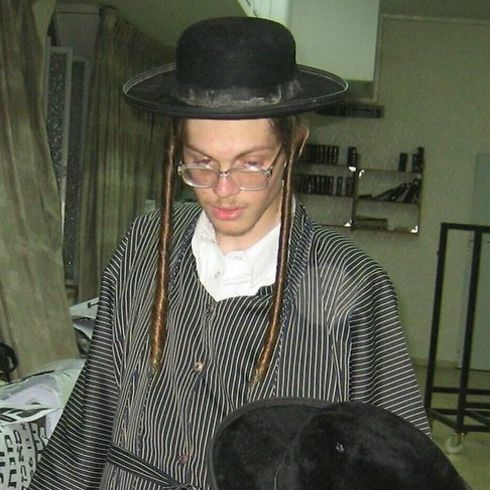 Rabbi Avraham Walles, a member of the ultra-Orthodox Toldot Aharon Hassidic stream, who lived the Mea She'arim neighborhood in Jerusalem, was a religious inspector at the construction site. He was working for the Atra Kadisha organization, making sure that any graves at the site were not damaged during the work. He was killed when one of the workers at the site, a resident of East Jerusalem, struck him with the large excavator he was driving. The terrorist then drove on for a few hundred meters, where he overturned a bus. A policeman shot and killed him, halting the rampage. Six people were injured, including the bus driver. The attack took place near the Mir Yeshiva, one of the country's largest religious institutions, shortly after thousands of students were dismissed from class early to prepare for the fast of Tisha Be’av, which began on Monday evening. The bus stop nearby is usually crowded with yeshiva students. As this is the first stop of the route, the bus was relatively empty of passengers. Rabbi Avraham Walles was buried in the Mount of Olives cemetery in Jerusalem. He is survived by his wife and five children.